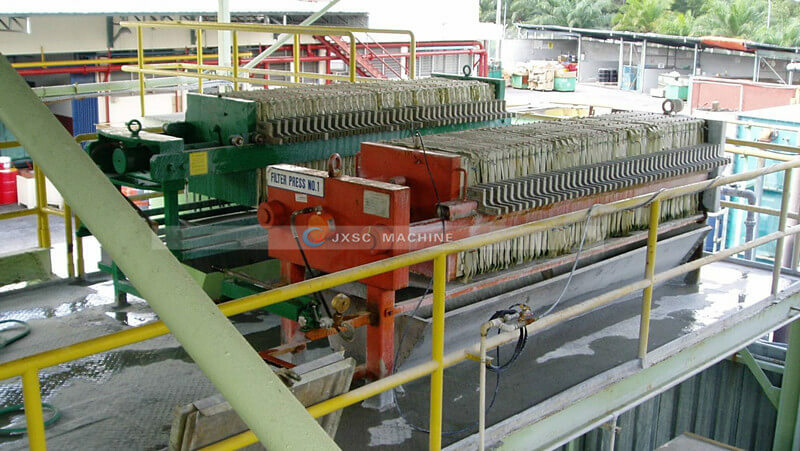 1) Simple and easy to operate, low operation and maintenance cost, saving money. 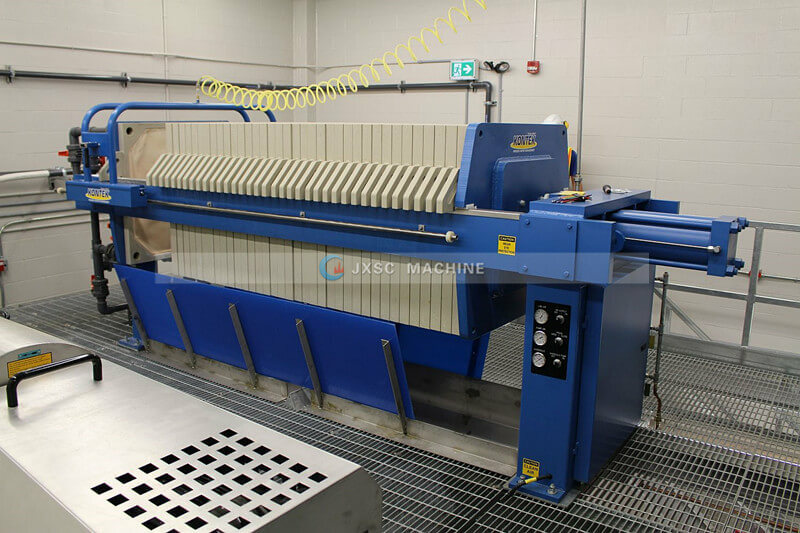 2) Better dewatering effect, reducing the moisture content of cake within 20%-30%. 4) The main material of the frame is carbon steel: Q235, beams with rectangular tube seamless welding, special frame deformation, strong and durable. 5) Filter plates are made of pure PP, do not contain other filler. not recycled material, high strength, lightweight, corrosion resistance, acid, and alkali, non-toxic and tasteless. 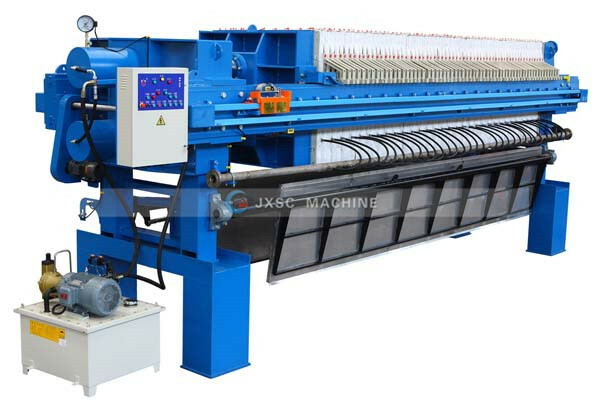 6) Various kinds of filter cloth which suit for different kinds of material, improving the filtering accuracy. 7) Special faucet with polypropylene materials, quick opening type die forming, strong and durable, high-temperature resistance, strong acid and alkaline. The first gravity filter section is inclined designed, it keeps sludge 1700mm from the land, increase the height of the gravity filter section, enhanced the ability of gravity filtering. The gravity filter section is long, the first section and second section totally up to 5m long ensures the sludge fully dewatered before being pressed. At the same time, gravity dewater section is equipped with inversion devices, after wedge-shaped and s-shaped filtering, the lowest water ratio sludge can be obtained. 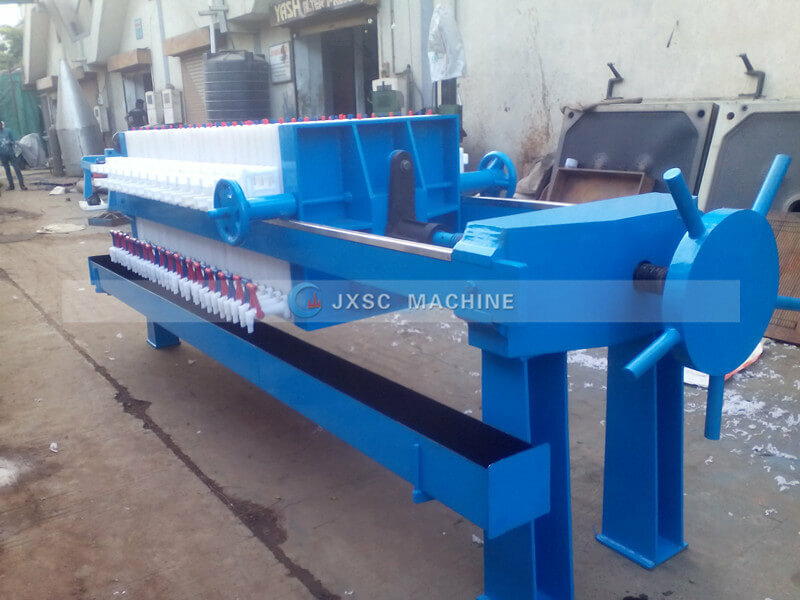 The first dewatering roller adopts “T”-type draining tank, quickly discharge a large amount of water, so as to increase the dehydration effect. 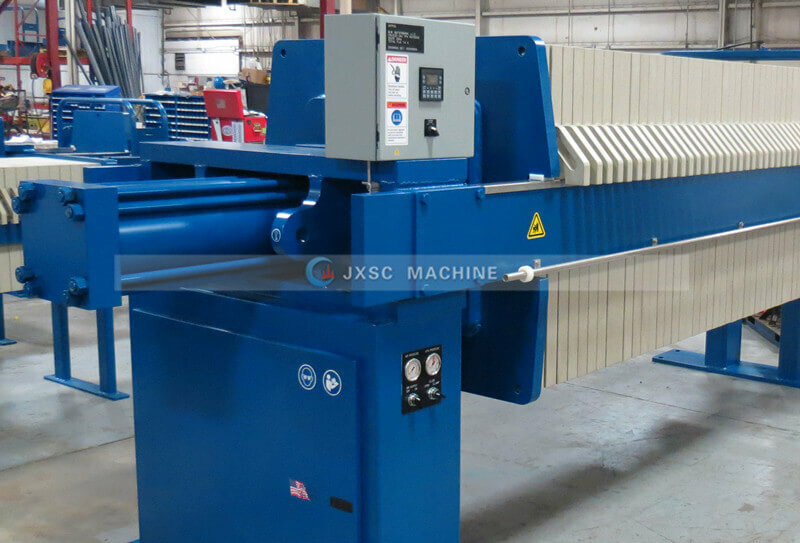 The automatic device is installed to avoid running deviation of the filter belt, the tension and moving speed of the filter belt can be freely adjusted, it is easy to maintain and operate.